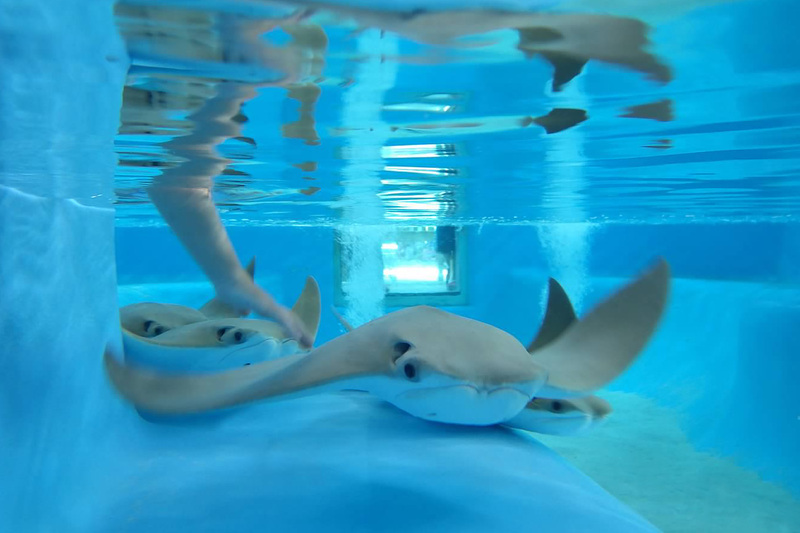 Florida Oceanographic Coastal Center is a family-friendly facility that gives your child the chance to "Party with the Rays." Birthday party packages offer a group rate and facility rental option for families that want to celebrate their child's birthday at the Coastal Center. These party packages are geared toward children ages 2-12. Birthday parties at the Coastal Center are available on Saturdays at 10:00 a.m.- 1:00 p.m. and Sundays at 12:00 p.m.- 3:00 p.m.
How much is it to have a birthday party? What does a birthday package include? Note: Birthday families must provide all their own food and decorations. Please see rental agreement for limitations. What does the birthday child receive? Full payment and signed agreement are due at time of reservation. We request that you schedule your birthday parties at least one month in advance. Availability is limited. For restrictions, please see Birthday Party Agreement below.